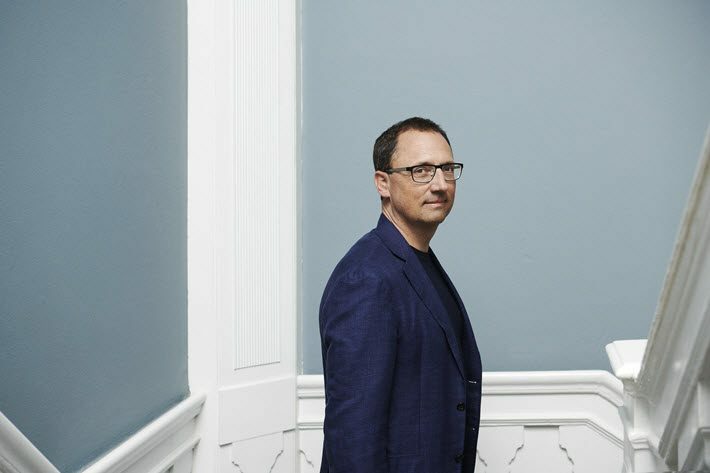 After some time working in other media sectors, Morten Hesseldahl returns to the book industry as CEO of Denmark’s oldest publishing company, Gyldendal, with fresh observations. Among the leading Nordic houses, Gyldendal Publishers is Denmark’s oldest and biggest, and its “new” CEO, Morten Hesseldahl, has been in place since May 1, replacing Stig Andersen, who retired after 18 years. Hesseldahl’s arrival is actually a return. He left the company as a Gyldendal editor in 1997, and in the intervening years has worked as an executive with Bonnier Books Denmark; chief of Information, the Danish newspaper; executive director of culture with the Danish Broadcasting Corporation; and director of the Royal Danish Theater. In our interview with Hesseldahl about his return to Gyldendal this year, Publishing Perspectives spoke with him about parallels and distinctions between some of the roles he’s held—and about what they show him now about the publishing industry. Publishing Perspectives: At the Danish Broadcasting Corporation, you saw the organization start publishing its content in many formats. How do you feel about publishers regarding themselves as general media businesses? What should their ambition be? Morten Hesseldahl: It’s necessary to work closely with other media businesses. At the same time, we shouldn’t forget that the markets are structurally different. I don’t see why a super professional player in one market would strive to appear as an amateur in other markets. Partnerships make a lot of sense when we want to publish in new formats and media. But publishers also must ensure that we have qualified people on staff. And when it comes to distribution, publishers must produce every piece of content in the most suitable formats—print, ebook, audio, or platform. Publishers are primarily suppliers of content, and we’re always looking for recipients to whom this content will be valuable. PP: The Danish Broadcasting Corporation also was among the earliest to secure the rights to re-use its backlist content in various formats and product types. Clearing of rights is often an important obstacle for publishers, when working with new formats. MH: Our contract models don’t take into account the variety of relevant publishing formats that new technologies allow us to produce. It’s my hope that we can work in close collaboration with authors to come up with new models that protect our writers as well as allowing for the content to have the best possible distribution. PP: Publishing is often characterized as a conservative industry. Do you see any areas in which publishers have been in the vanguard? MH: We have a good example here in Denmark, where we’ve completed a successful digital conversion in educational publishing. And I’m thrilled to see how publisher-produced educational material as well as literature has gained traction among our modern consumers. The publishing industry will survive as long as it delivers products that can’t be matched by others. Something suggests that it can do that, even though the methods have changed. We succeed most often in promoting broad variety in our products, in genre as well as attitude and ideology. That’s desirable and suitable for a modern democracy. On the contrary, we haven’t been very good at developing stories that reflect the cultural diversity that increasingly has characterized our society. We need to relate to an international world. Our literature still primarily focuses on white middle-class men and women. PP: You’ve returned to the book industry after 21 years. What has surprised you most? MH: I’m surprised that I actually recognize so much: people, offices, authors, and social relations. On the other hand, I find that everything has changed. Product supply from the cultural industry has exploded. As a consequence, competition is fierce. In addition, both digitization and large international stakeholders’ movements have definitively wiped away the last touch of the “sheltered workshop” ambiance. Publishing today is about life and death. But then again, hasn’t it always been? I think we’ll continue to be here, recognizable but completely transformed. PP: You were with Dagbladet from 2007 to 2010. And the newspaper industry has been deeply affected by digitization. Book publishing less so, and only later. To what extent can the impact on the two industries be compared? MH: The newspaper industry and the book business face very different challenges. While the demand for news can be met digitally in ways that are satisfying to the customer, the print book continues to be the attractive option for the common reader. As the willingness to pay for news declines steadily, literature maintains a high value. A book is a precious thing to possess or to offer as a gift to someone. As a means to a pure search for information, the traditional book has already lost the battle to the Internet. And it has been transformed in digital formats in education. But the changeover to digital teaching materials isn’t a problem for publishers because their main focus has always been on the market for content, not for printing. Digitization has changed but not ruined the publishing business model. New digital marketplaces have emerged, holding opportunities as well as threats. At Amazon, the knowledge they’ve collected about their customers allows them to produce their own content. PP: Will publishers in the future deal with challenges already tackled by news outlets? MH: Newspapers have lost their mass-media status. Today they’re mere niche media, each targeting their small segments. This development carries a great risk to our society. The common conversation is disappearing. People stick to stating their beliefs in parallel echo chambers. The book industry faces the same risk. Books are increasingly considered exquisite, destined for a small elite. Literature could disappear from the public sphere. We must stop considering it a goal to safeguard an old culture and a no-longer-adequate business model. We need to focus on recruiting managers and employees who understand the modern publishing context. 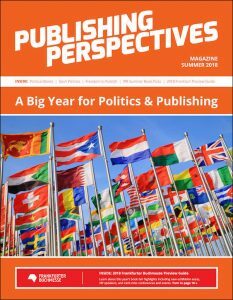 More from Publishing Perspectives on the Danish market is here, and on the Frankfurter Buchmesse is here.